The expertly arranged foliage of this mixed greens make this wild plant appear perfectly tamed. It's supported by a green tin planter that gives the overall appearance of this piece a natural look. 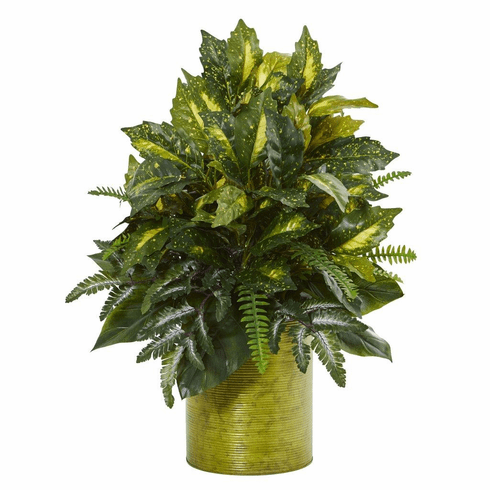 It's an excellent choice to add to any home or office arrangement. Size: Height: 28 In., Width: 17 In., Depth: 17 In. Pot Size: H: 10 In. W: 9 In. D: 9 In.